Bergad Specialty Foams is an industry leader in the development of polyurethane solutions. You may not recognize our name, but our products are everywhere, improving your life in hundreds of different ways. Whether you are a healthcare professional or a housewife, a member of the active military or a respected veteran, a computer gamer or an extreme athlete, Bergad is there. We touch every life with materials that provide comfort, safeguard shipments, save lives, and protect the environment. We provide the highest quality, American-made flexible foam solutions available. And when it comes to challenges, there is no flexible foam application we will not consider. 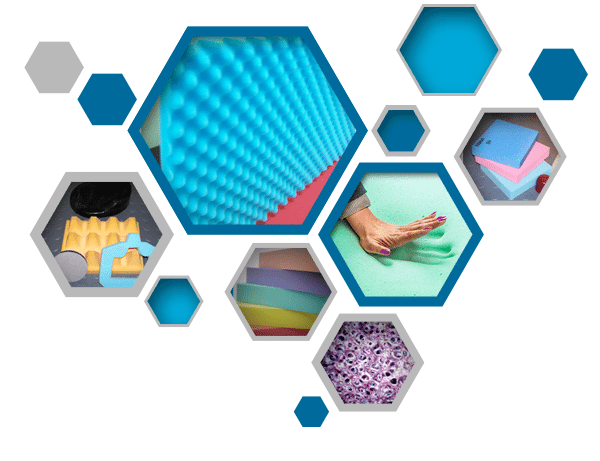 Bergad continues to improve the quality of its specialty foams, developing cutting-edge solutions that provide comfort, protection, and a competitive edge for consumer products, medical solutions, industrial needs, and military applications. Want to learn more? Contact us today, or call 724-763-2883 to speak with a customer service representative. Disappointed with the quality of the viscoelastic foams we were buying, Bergad acquired a second building in the industrial park and began plans to produce our own, in-house line of memory foams. Began manufacturing mattresses using viscoelastic foam, an amazing technology originally developed by NASA’s Ames Research Center. Purchased a building in an industrial park in Ford City, PA. We expanded services to include innerspring mattresses. Started manufacturing 1 piece bunk bed mattresses in an old building that formerly served as a dealership for the French made Panhard car. The facility featured wooden floors and an inadequate furnace. Moved operations to one, larger facility in Rayburn Township and added a new continuous foam line. We also expanded our product lineup to include gels, gel foams, and phase change materials. Continued Bergad’s expansion by acquiring 3 additional connecting buildings in the industrial park. Expanded our product lineup from a focus on consumer grade foams to add technical grade foams. Began producing viscoelastic foams and Bergad’s memory foam division was born!